There’s a TV series in the UK called ‘Grumpy Old Men’ in which various ‘more mature’ comics and celebs are given a topic and let rip into all that is wrong in the world today about it… politics, Christmas, lack of respect etc. 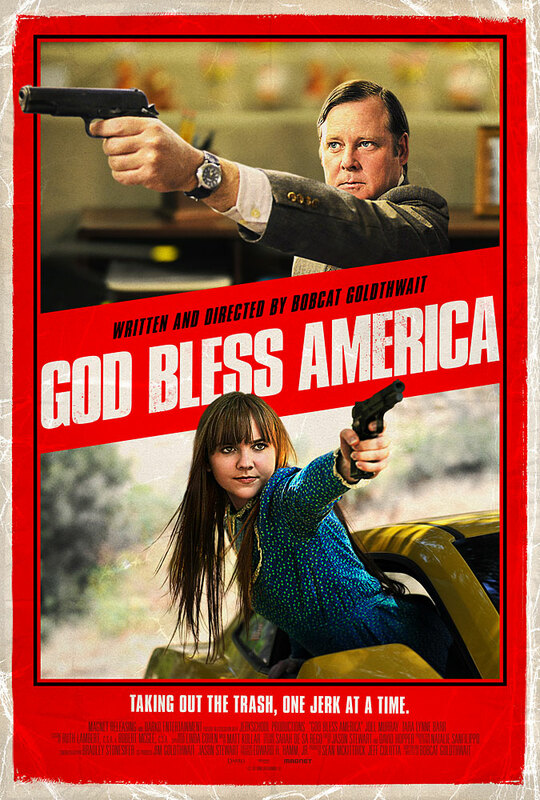 Well, here comes a movie – God bless America – that could best be described as Grumpy Old Men go Postal, in which an oldie given weeks to live from a brain tumour goes on a rampage to wipe out all that he detests about modern life. I think it’s fair to say that this film is going to divide opinions.